It is no doubt that Nigeria has the most intellectual, handsome, beautiful, passionate actors and actresses globally. The charisma in which these famous Nigerian actors and actresses in Hollywood put in acting has seen them be linked to top places and even as far as featuring in top movies with other top stars in Hollywood. These crop of Nigerian born actors and actresses, now ply their trade abroad are always smiling to the bank as their stakes and successes in Hollywood has seen their value sky rocket. He was born in Oxford, England, to Nigerian parents. 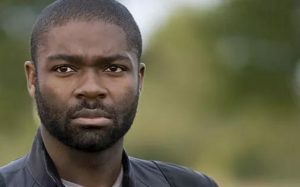 Oyelowo is one of the most successful Hollywood actors of Nigerian decent who first attended a youth theatre after being invited by a girl to whom he was attracted to. He then studied theatre studies for A level at City and Islington College. It was his passion in acting that earned him get good grades that his teacher advised he should become an actor and start an acting career. After A levels, Oyelowo enrolled for a one year art foundation course, before winning a place and scholarship at the London Academy of Music and Dramatic Art (LAMDA), finishing his three-year training in 1998. He had before that appeared in Tomorrow La Scala (2002), Maisie Raine (1998) and Brothers and Sisters (1998). Soon after the end of his time on Spooks, Oyelowo made a cameo appearance in the 2005 Christmas special of As Time Goes By. 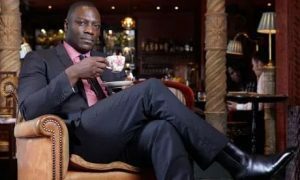 In 2006, he appeared in the TV film Born Equal alongside Nikki Amuka-Bird as a couple fleeing persecution in Nigeria – they also both appeared in Shoot the Messenger (2006), and in The No. 1 Ladies’ Detective Agency (2008) as a husband and wife. Oyelowo was signed up for the voice cast of the Star Wars Episode 7 animated series being made by Lucas film Animation. Till date he is still making it big in Hollywood. The energetic and humble actor has received numerous acting awards and nominations, including the 2006 BAFTA Awards Rising Star, three Golden Globe Awards’ nominations, and the 2008 Laurence Olivier Award for Best Actor for his performance in Othello. Chiwetelu was born in July 10, 1977 in London’s Forest Gate to Nigerian parents who belonged to the Igbo ethnic group somewhere in Enugu. His father, Arinze, was a doctor, and his mother, Obiajulu, was a pharmacist. In 1988, when Ejiofor was 11, during a family trip to Nigeria for a wedding, he and his father were driving to Lagos after the celebrations when their car was involved in a head-on crash with a lorry. His father was killed, but Ejiofor survived. He was badly injured, which resulted to the scars on his forehead. 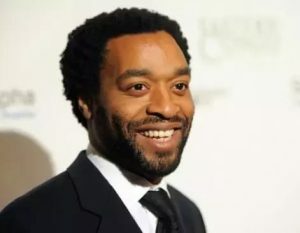 Ejiofor began acting in school plays at the age of thirteen, and soon joined the National Youth Theatre where he got into the London Academy of Music and Dramatic and since then, has acted series of movies which makes him one the top Nigeria born famous actors in Hollywood till date. When you speak about Nigerians in Hollywood anywhere in the world, he is a well-known figure in Hollywood, was born in Islington, London. His parents are Nigerians, of Yoruba origin. He has a law degree from King’s College London and a Masters in Law from the University of London. He has numerous film credits since he began acting in 1994 and has appeared in many top films, including The Bourne Identity, in which he played a deposed African dictator, Hitu the police officer in Ace Ventura: When Nature Calls, Lock-Nah in The Mummy Returns, and Heavy Duty in G.I. Joe: The Rise of Cobra. Gbenga is considered as one of the most famous Nigerian actors in Hollywood, he is an American actor, best known for his role as Chris Paltrow on the HBO original series The Wire. Born in Washington, D.C. in December 12, 1978 to Nigerian parents, he grew up in Silver Spring, Maryland. Akinnagbe had a rough start as he was involved in domestic troubles as a youth. He is the second oldest of six children, with one older sister and four younger brothers. 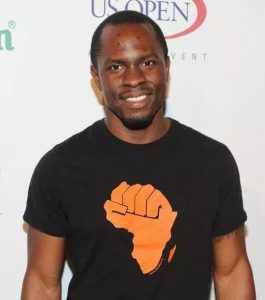 Akinnagbe attended Becknell University on a wrestling scholarship, majoring in Political Science and English. In 2003, Akinnagbe auditioned for the role of Chris Paltrow on the HBO series The Wire, and, starting in 2004, began a frequent recurring role. In 2008, during the show’s fifth and final season, he was promoted to a series regular. In 2007, Akinnagbe appeared in the film The Savages with Philip Seymour Hoffman, Laura Lainey, and Philip Bosco. He appeared in the remake of The Taking of Pelham 1 2 3, which was released by Sony in June 2009. He is currently playing a drug lord in the USA series Graceland. Born February 19, 1974 in England to Nigerian parents, this British actress is best known for playing Sasha Williams in As If, and Elaine Hardy in Footballers’ Wives. At the age of fourteen, Chikezie was sent to boarding school in Nigeria in an attempt to make her abandon her dreams to become an actress but she came the spirit alive because of this, she had attended weekend classes at Italia Conti. After her secondary school education in Nigeria, she returned to the United Kingdom, she enrolled into Brunel University where she studied Medicinal Chemistry; with the view to take over her father’s hospital in Nigeria, but left after lecturers decided that she was unsuited to academic life. She later won a scholarship to the Academy of Live and Recorded Arts. She has starred in many films because of her passion for what she knows how to do best and has made her one of the famous Nigerian actresses in Hollywood. 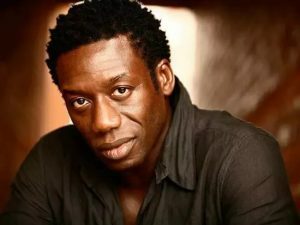 Born in October 1, 1962, this British-Nigerian actor is best known for his portrayal of Georges Rutaganda in the 2004 motion picture Hotel Rwanda. His unique voice on screen is what thrills his fans the most when he is on center stage of acting. He also featured as Colonel Iké Dubaku in season 7 of the Fox television series 24 and the TV film tie-in 24: Redemption. He is currently an Etisalat ambassador and currently stares in an Etisalat advertisement alongside Nigeria very own Genevieve Nnaji. Other movies are Last Flight to Abuja (2012), Girl Soldier (2011), Darfur (film) (2009), The Fourth Kind (2009), X-Men Origins: Wolverine (2009), Big Fellas (2007), Pirates of the Caribbean: At World’s End (2007), Half of a Yellow Sun (2013)… and others. He was born in 1979 to Nigerian parents, and has a birth origin in the Igbo tribe. Anozie is an English actor known for his appearances on stage, and his film and television roles especially roles on soldiers and gladiators etc. In 2002, he played the title role in William Shakespeare’s King Lear, and won the Ian Charleston Award in 2004 for his performance in Othello after undergoing series of auditions on to take up the role. 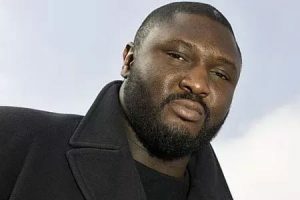 Anozie played small roles, such as ‘Think Tank in Guy Ritchie’s film RocknRolla, and Frank Mace in Joe Wright’s Atonement. He played the lead in Cass, a 2008 British crime drama film recreating the life of Cass Pennant. In 2009, he appeared in the supporting cast of the BBC TV three-part 2003 Iraq War drama, Occupation, where he played a US Marine-turned-private-military-contractor. In 2011, he played Artus, a Zamoran pirate and close friend of Conan, in Conan the Barbarian. That year, he was also cast to play the role of Xaro Xhoan Daxos in the HBO series Game of Thrones, and was cast as Jackson Burke in The Grey. He also plays the role of Samson in the History Channel’s television miniseries The Bible. She was born in 1968 to a Nigerian father, and her mother was a Jewish, Her origin can be traced down the eastern part of Nigeria. The beautiful Okonedo is an award-winning British actress known for her roles in successful British and American productions. In 1991, she made her acting debut in the British critically acclaimed coming-of-age drama,Young Soul Rebels. She has received an Academy Award nomination for her unprecedented performing role in Hotel Rwanda, a Golden Globe nomination for Tsunami: The Aftermath, and BAFTA nominations for Criminal Justice and Mrs. Mandela. Her other film roles included Aeon Flux, Ace Ventura: When Nature Calls, Dirty Pretty Things, Skin and The Secret Life of Bees.